If you are looking for Union County roof repair, you have come to the right place! One of the most important things to consider before signing on to an inexpensive roof repair company, is what it is you actually need. Your roof is important, so it is essential to have good quality repairs that are also budget friendly. Here we will look at some of the average costs of roofing repairs in the year 2017 as well as some of the most common repair needs. Hopefully you will leave this article with a better idea of what you are getting into, and a great recommendation for a professional roofing repair company in Union County. The average costs of your roof repair will obviously rely on what repairs need to be made. As with any home repair, be sure to get an unbiased opinion of what really needs to be done and the cost effectiveness of the repair versus just replacing the whole thing. Why spend over two thousand dollars on a roof repair if the following year you will need to spend the same on another repair or replace your roof altogether? Of online published reports from popular consumer websites, the average cost of most home roof repairs are between one hundred dollars and twenty five hundred dollars! That’s a huge discrepancy! On average, you can expect to pay about seven hundred dollars for your Union County repair. But again, that depends completely on what you need done. If you know that you are going to be spending three hundred dollars, or even eleven hundred dollars (the two most common reported prices for roofing repairs), you want to be sure you are getting just what you need, no more, and no less. Next let’s look at a few common repairs that may need to be made to your roof. Roof leaks are of the most common repairs and the most easily fixed. But first you will need to identify the cause of your leaky roof. Most often a few shingles will be blown off, loosened in the weather, or missing completely. As you can imagine, replacing a few missing shingles is really not too difficult or costly, depending on how many you need replaced, the material of your shingles, and accessibility to your roof. Otherwise, it is common for you to have corroding pipe flashing around your vent pipes. If the seals around your vent pipes have started to dry rot or wear out, water will easily get down into the roof, especially if the vents are located in a lower lying area where water will more like run and possibly even puddle. The same is true for chimney flashing. No matter what your repair concerns, be sure that you are working with an expert, experienced professional company that will stand behind their work for good measure. Ask they for their best recommendation of exactly what repairs you need that will be the best for your budget and for your situation. Also be sure to ask for a few local references so you can check to see the main points of a great roofing company: Are they respectful? Are they prompt? Are they accurate in their price quotes? Do they uphold their warranty? All things you want answered before signing a contract or enlisting a Union County roof repair man (or woman!)! This is going to likely be the most obvious sign for you to tell the condition of your roof. Noticeable damage not only looks bad, but can also lead to further damage for your home. It is important that you get this fixed up as soon as possible to prevent as much damage to your home as possible. If left unchecked, it may lead to leaks in your roof or require you to get a whole new roof installed. As was stated above, a damaged roof can lead to leaks in your home. Keep in mind, however, that the source of the leak may not be easily noticeable from outside. You can try going into your attic during the day and looking to see where sunlight is coming through. If this does not work or you are unable to identify where the leak is coming from, call your local roofing contractor for help. A leak in your roof is nothing to mess around with, and you should get Union County roof repair work immediately if you have a leak. The age of your roof is important to be mindful of. A well installed roof should typically last 20-25 years. 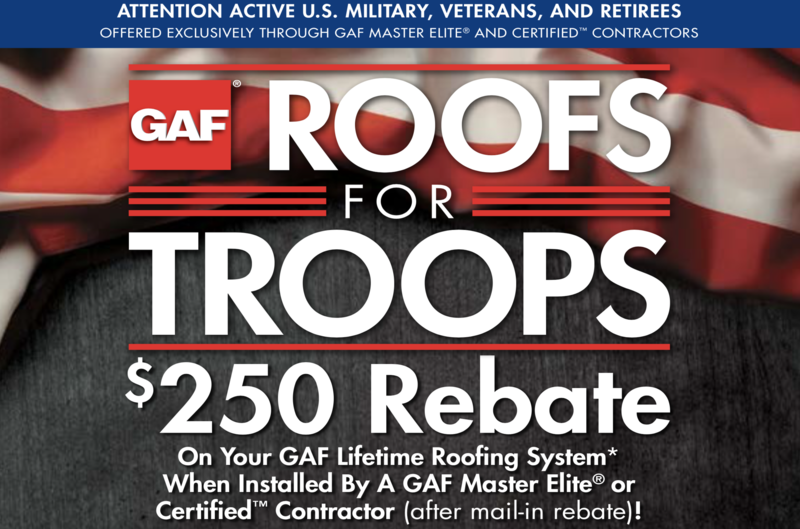 When you start to reach that timeframe, you should look into a new roof installation. If you’re not quite at that point yet, you should still consider Union County roof repair work for touch ups to make sure your roof is in top condition. If you put off getting your roof inspected, the problems can build up without you knowing it. Nothing is worse than sitting down to a family dinner and realize the entire roof is leaking or there is a family of squirrels in the attic. These are expensive problems that can be avoided with regular roof inspections. A good roofing inspector will pinpoint the problems before they spiral out of control so that they can be easily dealt with before there is a laundry list of problems. Have you been up on your roof recently? Most likely not. It is a good idea to leave the climbing to the professionals. Not only do they have the best equipment to properly get onto your roof, they also have all the knowledge and know how to be able to catch all the issues that you might not notice. Have peace of mind knowing that the professionals are taking care of it all! Roofs seem to be like tires, no one wants to care about them until there is an issue. Luckily, you can establish a schedule for routine roofing inspections so it is not something that you have to think about. Most roofing experts suggest getting an inspection every 14-20 months, and slightly more often if there had been a lot of heavy storms that year. Having a routine roof inspection allows for help budgeting and keeping any big problems at bay. Looking For a Union County Roof Repair Company? Look no further than Deegan Roofing. Deegan Roofing has been building a relationship with Union County homeowners for over 20 years, and is able to provide all the service and quality you want. Deegan Roofing is well known for providing the best Union County inexpensive roof repair in all of New Jersey, so don’t hesitate to contact us today! Call Deegan Roofing today for a free estimate or for more information about your Union County roof repair!